Nice post thanks a lot really love – WhatZupBristol! Long standing and highly respected Bristol graffiti artist, Soker, known for his flamboyant and detailed ‘Wild Style’ lettering has created a concept artwork in the heart of Stokes Croft. For the first time ever, as far as we know, he has created a piece of graffiti art that has been shredded! 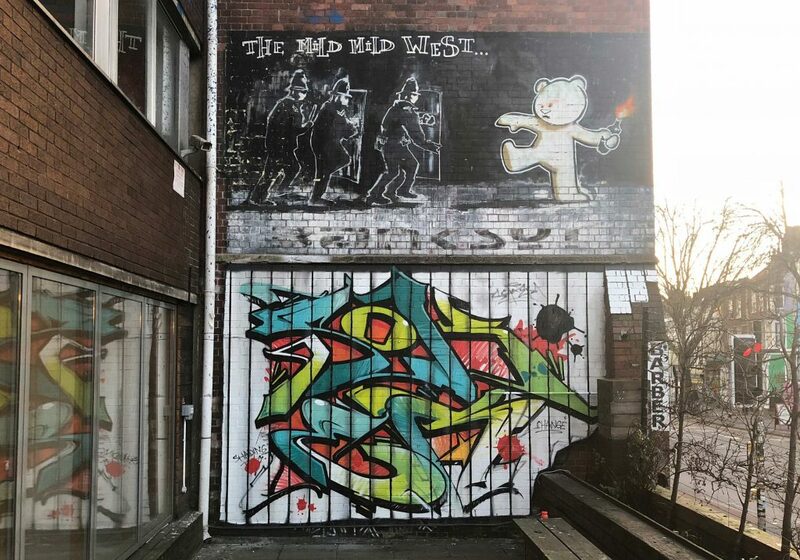 Soker who was once in the same graffiti crew as Banksy in the early 1990’s, decided to embark upon this concept because of how close his artwork would be to Banksy’s Mild Mild West, and was influenced by Banksy’s stunt at the London auction house in late 2018, when the Girl with the Heart Shaped balloon was shredded shortly after being sold for more than £1 million. By all accounts this doubled the value of this piece of Banksy art. The post Shredded Graffiti Art appeared first on Where The Wall.